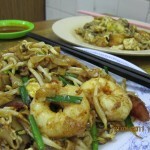 pharmacy online canadian pharmacy Hokkien Mee | Penang Street Food | Penang Delicacies "penang food", "penang hawker food", "penang street food", "penang delicacies", "penang gourmet", "food in penang"
Hokkien Mee or Hokkien Noodles is soup noodle dish that is unique to Penang. 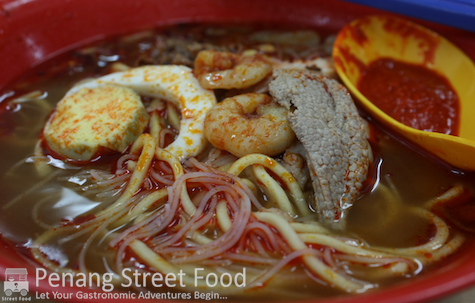 Outside Penang, this dish is known as Hokkien Prawn Mee (or Heh Mee in the Hokkien dialect) to avoid confusion with the dry stir-fried style of Hokkien Mee (known as Hokkien Char Mee in Penang) that is commonly found elsewhere in Malaysia and Singapore. 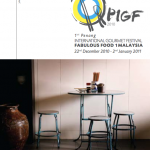 It is claimed that Hokkien Mee was introduced by immigrants to Penang from the south eastern province of Fujian in China. The key to an authentic bowl of Hokkien Mee is in the preparation of the soup stock, which is a closely guarded secret recipe made from a combination of prawn shells and pork bones that is boiled for hours. The result is a mildly spicy reddish broth, rich with the fragrant aroma of prawns. Hokkien Mee is normally served in a combination of rice vermicelli, yellow egg noodles, bean sprouts and garnished with green kangkung (water convulvus), shelled shrimp and some slices of hard-boiled egg. Finally, it is topped off with a sprinkling of crispy deep fried shallots together with generous serving of chilli paste. You can expect to pay an average of RM3 for a standard bowl of Hokkien Mee. 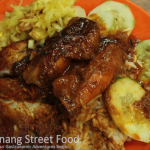 Some more enterprising Penang hawkers also offer a more luxurious version that is served with pork ribs, roast pork, intestines, fish and meat balls - at a small premium, of course.